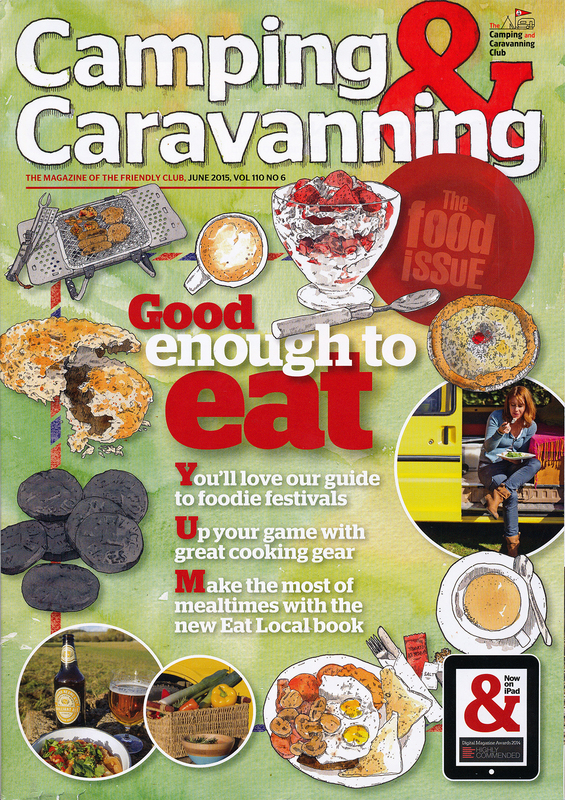 This month’s Camping and Caravanning Club Magazine boasts my illustrations splashed across the cover. Some of these illustrations are from the inside of the magazine – this month’s Eat Local article is about cafes. But most of them were commissioned for cover. All cakes and tarts and puddings and a barbecue. Excellent news! May it be the first of many. Thank you 🙂 I know I’m biased, but I think the magazine cover looks pretty fab! I’m hoping the magazine gets lots of lovely feedback and wants more illustrated covers.